Regional theatre has long been both the root and lifeblood of British theatrical life. It’s the place where actors, directors, writers and other creative people find their feet and continue to excel, away from the distractions of London. For some, the regions are a stepping stone to national companies or the West End, but for others they are an end in themselves. 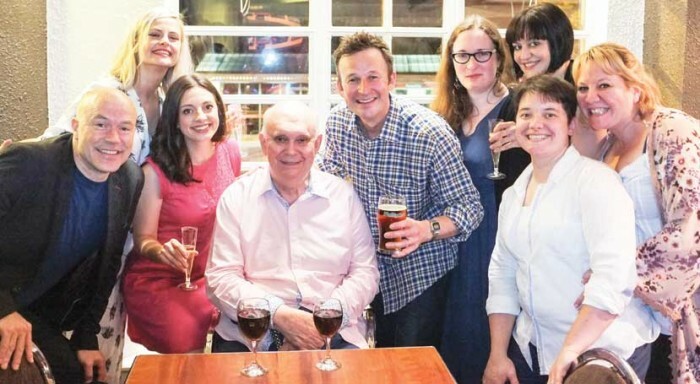 Look at the prolific Alan Ayckbourn: in December he’ll premiere his third new play this year in Scarborough, bulking up a repertoire of more than 80 works. All but four of them debuted in the Yorkshire seaside town he calls home. In Manchester, director Sarah Frankcom and actor Maxine Peake are working together on A Streetcar Named Desire, their sixth collaboration at the Royal Exchange. Yet the regions also continue to be an important source of product for the West End, too: Nottingham Playhouse’s 2013 production of The Kite Runner, for instance, transfers to Wyndham’s in December. Theatre outside London doesn’t always get the recognition it deserves. In London, the Oliviers and the London Evening Standard Theatre Awards’ lavish annual ceremonies celebrate work produced in the capital. There are also smaller awards, such as those run by the Critics’ Circle (voted for by professional critics) and the Whatsonstage Awards (voted for by the public). But there is only one ceremony that recognises work right across the national landscape: the UK Theatre Awards, presented annually by UK Theatre, the trade body and sister organisation to the Society of London Theatre that represents regional theatres. I should declare an interest: I’m a member of the critics’ panel that decides the nominations and I vote on the results. There is no way that any individual critic can possibly see everything that’s on across every member theatre – but between us, we’ve caught a big chunk of what’s happening. It’s striking how the nominations and the results show one organisation dominating the rest: Sheffield Theatres scored no fewer than six award wins including a joint win for best musical production for its revival of Show Boat, which transferred to the West End, and Flowers for Mrs Harris, a new musical that premiered there earlier this year. It was also cited in the winning entry for best new play for its co-production of Cuttin’ It with the Young Vic, Royal Court, the Yard and Birmingham Rep. Actors Clare Burt and Rebecca Trehearn, from Flowers for Mrs Harris and Show Boat respectively, also won awards, as did Flowers designer Lez Brotherston. This is partly a testament to Daniel Evans, who recently left after seven years as artistic director there to take over at Chichester, another theatre that has regularly won at the UK Theatre Awards – and the Oliviers for its London transfers. You can feel the heat of a building in many ways, not just in awards recognition, but more importantly on the ground. When you walk in, the place radiates a life force. That’s exactly how it feels at Chichester and at Sheffield. It comes from the top with the executives in charge (at Chichester, it was previously the double act of Jonathan Church and his executive director Alan Finch; at Sheffield, Daniel Evans was partnered by Dan Bates) and it permeates throughout the ranks. There’s a similar feeling of creativity and welcome at Manchester’s Royal Exchange (where I’m catching up with the aforementioned Streetcar this week), Bristol Old Vic (where I can’t wait to see The Grinning Man), Liverpool’s Everyman and Playhouse and Theatr Clwyd, among others. Look at these theatres, and you’ll see that theatre across the UK is alive and well. It’s different from the old days of rep, of course. Interviewed by The Stage last week, Ian McKellen, who won the UK Theatre award for outstanding contribution to British theatre, lamented the destruction of the old network of regional reps: “I always think that if we had worked a little bit harder collectively, at a time when our union was being destroyed by Margaret Thatcher, that we might have been able to preserve the regional theatres where we all used to get our training. That’s the biggest regret I have and I wish I’d known was going to happen,” he said. But he also stressed the continuing value of touring to actors and audiences alike: “It’s not just important, but also rewarding. And it’s fun and keeps you on your toes, meeting different audiences and going to different theatres – it’s energising,” he said, referring to his pre-London tour with Patrick Stewart for their current West End hit No Man’s Land. There are undoubted challenges, but there’s still plenty to be said for the ongoing vitality of the sector. Richard Jordan: Is Phantom the perfect model for a commercial musical?